Product prices and availability are accurate as of 2019-04-14 18:51:50 EDT and are subject to change. Any price and availability information displayed on http://www.amazon.com/ at the time of purchase will apply to the purchase of this product. 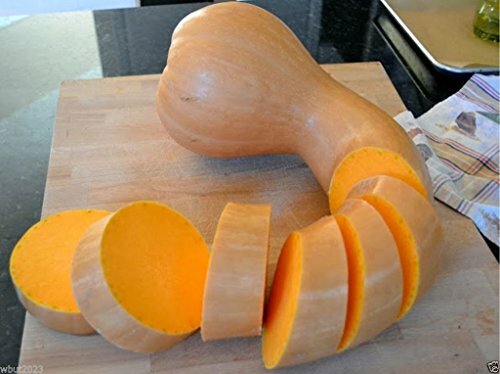 Neck Pumpkin is a distinctively central Pennsylvania winter squash. 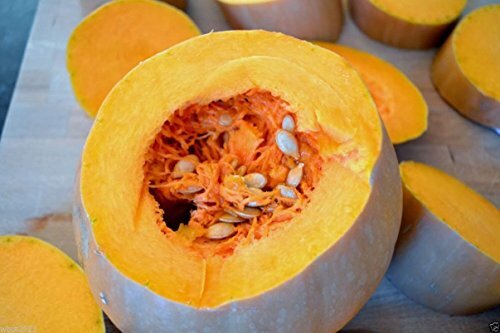 The fruit is like a giant butternut squash though lighter in color and milder in flavor. Still, the squash is nearly all meat. 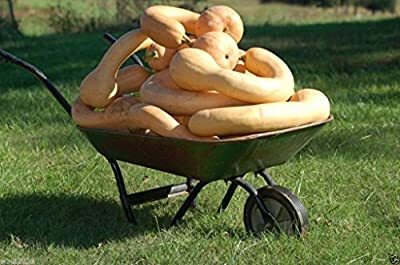 This fruit is enough to make, perhaps, 14 pumpkin pies-or to serve squash side dishes at dinner for more than two weeks Pennsylvania Dutch Crookneck Squash This butternut-like squash with a twist has been grown on family farms since the early 1900's. Its large size (up to 20 lbs.) and above-average storage longevity make it a great choice for gardeners with food production in mind. The long, solid fleshed neck is full of flavor with the seeds compacted into the round bottom end. Multiple cooking uses include pies, soups, and baking. Sliced rings from the neck, when baked, are mouth-watering good! Contrary to the name, winter squash is actually grown in the summer, started the same time as summer squash, but it takes much longer to mature. When it is ripe the fruits will have a hard outer shell and store all winter.